We packed up the girls yesterday and headed to a Barn Sale in another town 45 minutes away. It started at 7 am, but we didn’t get there until 11:30. They had already sold a lot of stuff, but we managed to pick through everything (there was still quite a bit left) and find some treasures worth our trip. Nothing was priced (which usually drives me crazy, but in this case it worked to our advantage) so we just collected everything we wanted and one of the gals there made an offer for the whole lot. We got everything for just $15! It was a huge score! 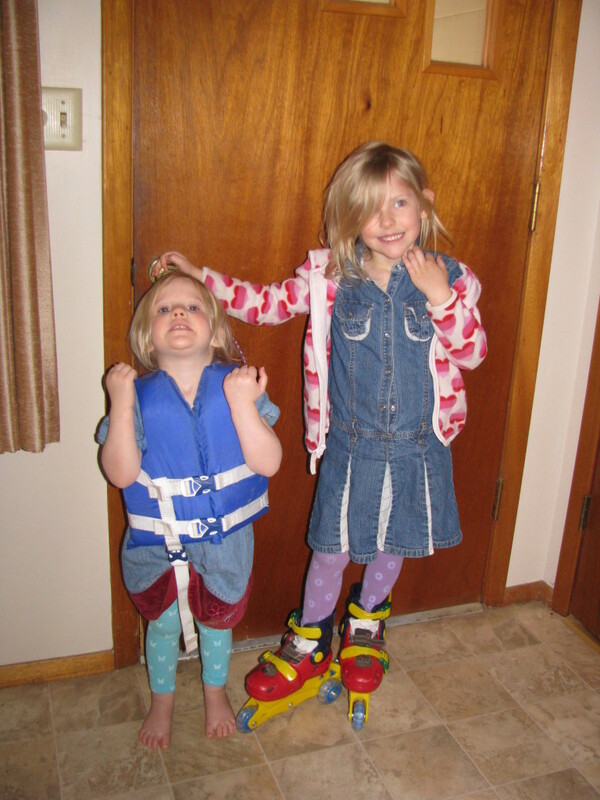 Above are the girls modeling the beginner roller blades and life jacket we got. 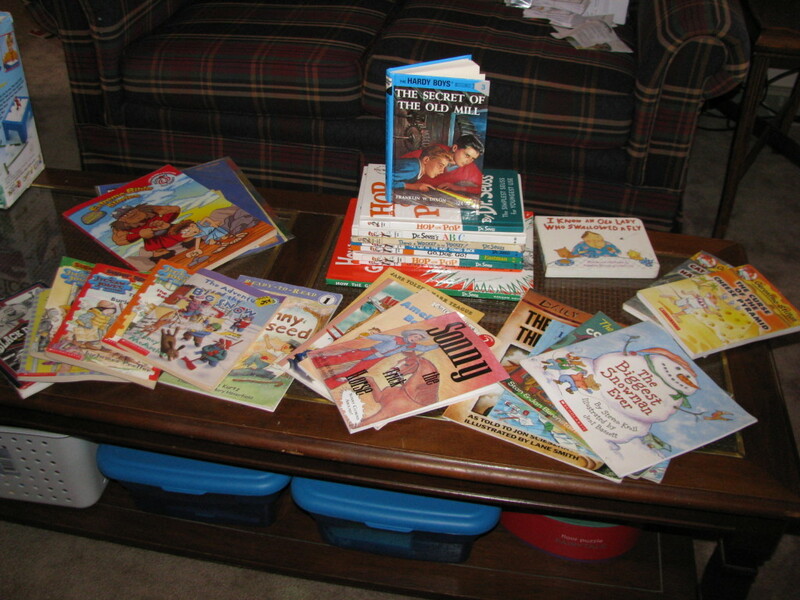 Here is the load of children’s books we got. The girls were very excited about all the new books. Some of them will be for later when the girls start reading, but it’s always better to prepare ahead right? 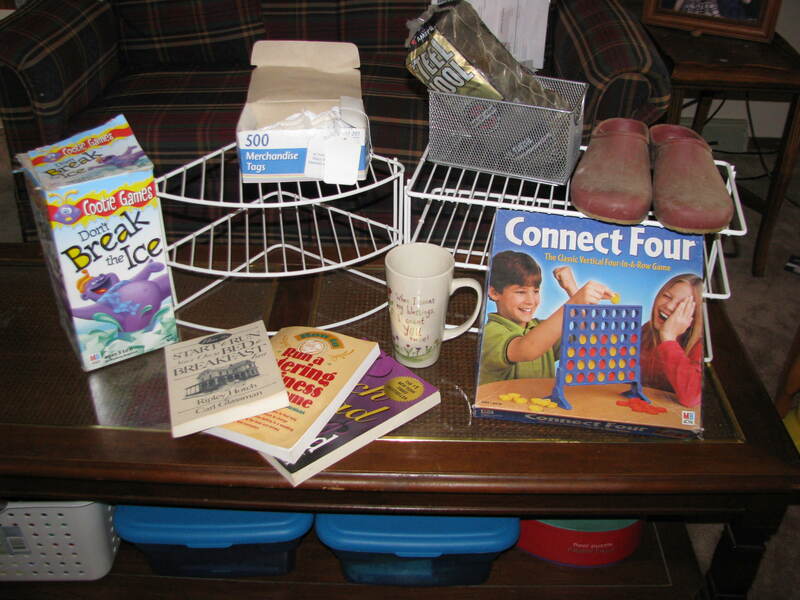 I found a couple of games for the girls and a couple of shelves which I’ve already been planning where they’re going to go. I also got some gardening shoes (which I am SUPER excited about), and an almost brand new package of steel wool and merchandise tags, plus some adult books for gifts and a mug. 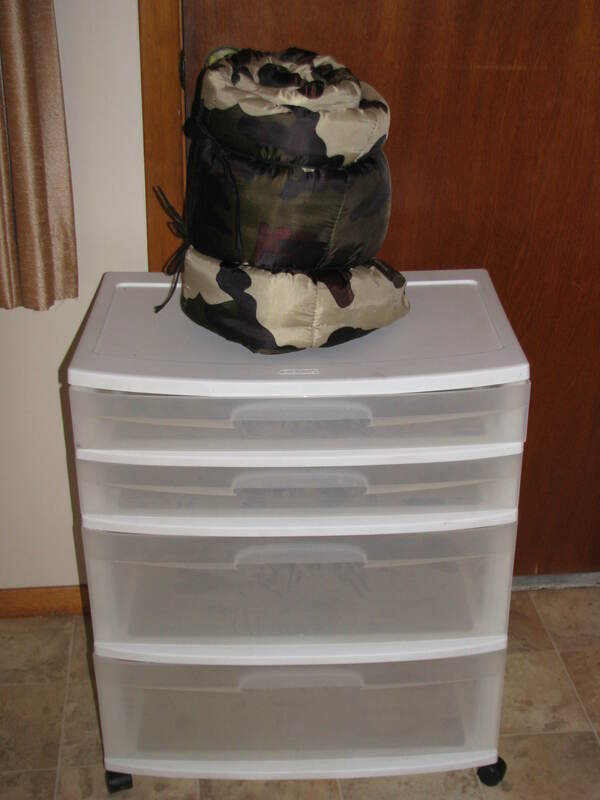 Lastly we got a large storage bin on wheels for Joel to use in his office, and a sleeping bag for the girls. Both were in great condition. So ya, I think we got a GREAT deal on everything we got. Several of the items were on my list of things to look for. It’s nice to have your patience pay off! Did any of you find some great deals this weekend? Take some time and brag below so we can ooh and aah with you! I’m linking this to The Homestead Barn Hop and The HomeAcre Hop! Great finds! Love a day like that 🙂 Thanks so much for sharing this on The HomeAcre Hop! I changed the starting time for the hop to Thurs morning and we’ll be announcing the winner of the seed giveaway!